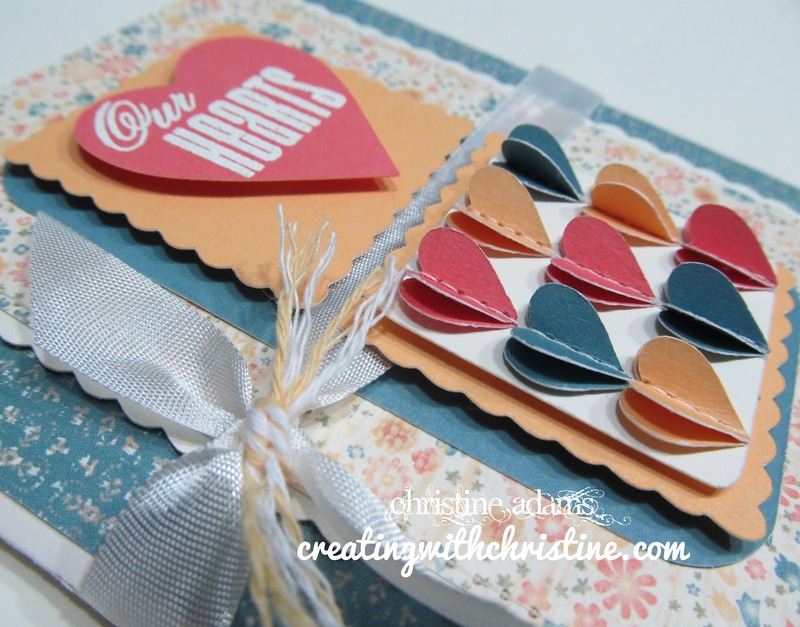 Creating with Christine: Make It From Your Heart Publication! 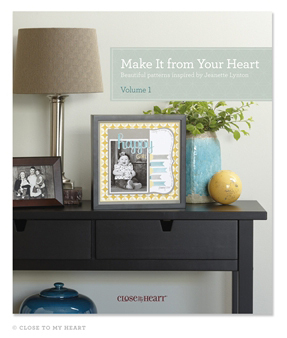 At convention, Close To My Heart announced the release of our brand new How-To pattern book called "Make It From Your Heart". When they retired our popular hardback how-to books, we all worried about being without a fresh, new resource. Close To My Heart how-to books are not only inspirational, but very practical too! A must have for cardmakers and scrapbookers! 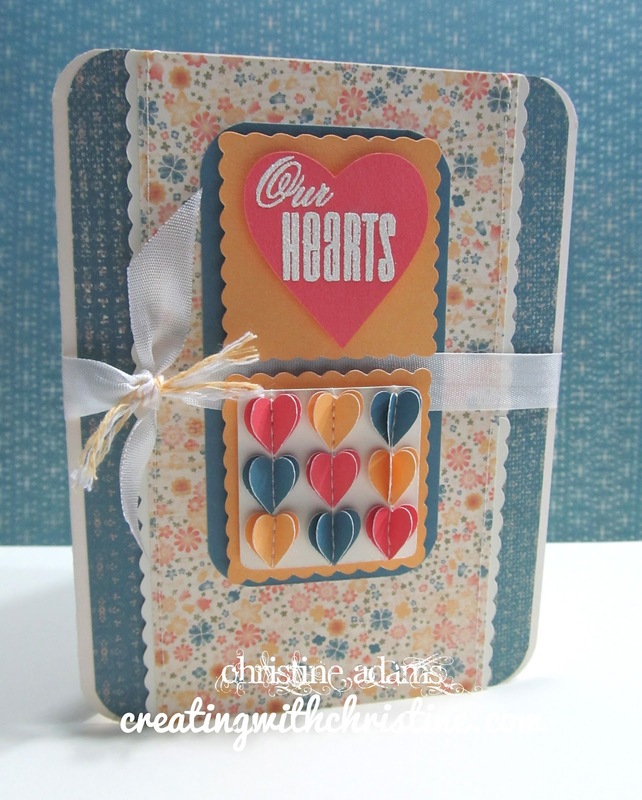 This new book features BOTH layout and card patterns, making it so versatile! It also features patterns from both the Autumn/Winter 2012 and Spring/Summer 2013 Workshop On The Go Kits. You no longer have to save those loose guides for future reference to the pattern. This book has them all! With each pattern, you will see a sample of artwork which include fresh ideas and techniques. Some may even include slight variations or tweaks to the pattern to give you even MORE ideas! But best of all, is the PRICE! This softback book is only $7.95!!!!! Our previous hardback books were $21.95! This amazing book features 16 two-page layout patterns, two single-page patterns, as well as 12 different card patterns. But there is even more exciting news regarding this publication......three Close To My Heart consultants were asked to create artwork to be featured in this book: Karen Pedersen, Lisa Stenz, and Christine Adams. That's ME!!! What an honor it was to participate, but honestly it was a challenge. I have a MUCH GREATER respect for the in-house artists on staff! Oh my! Anyway, here is one of the cards I made that was featured in the new book on pg. 46. I used the Art Philosophy Cricut Cartridge to create all of the borders, scallop squares and hearts! It makes it SO EASY to create by just pushing a button! What you can't see in the book is the inside of the card. Again, I used the Art Philosophy to create my paper pieces, and embossed the sentiment with our White Daisy Embossing Powder. I added a little Creme Brulee Bakers Twine and frayed the ends. 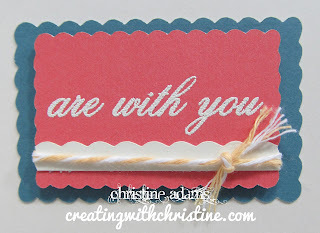 I used a new stamp set called Words of Comfort which I love! It's a must have for card makers. 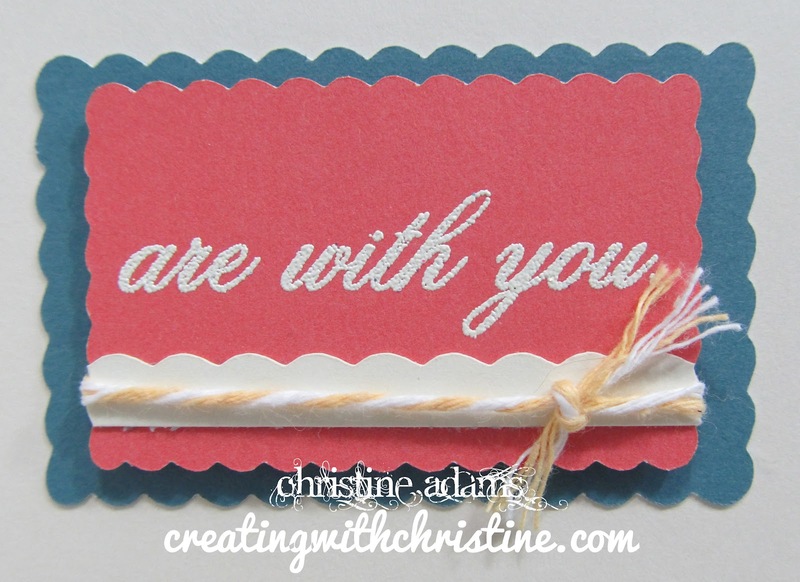 I also used some of our new Clementine papers. I love the "down home" feel of these papers. I feel like I'm sitting in a country kitchen on a farm sipping iced tea! Stay tuned....I'll have more artwork featured in this new book coming soon! Click on the links above to see these new products or click here to see ALL of our products! I just LOVE this card. Wasn't it fun to be a part of this creative process? I loved being able to create art for a real, live publication.